CDPHP works closely with Caremark® Specialty Pharmacy Services to supply certain high-cost biotech and injectable drugs to our members who need them. Specialty drugs are used to manage complex chronic or genetic conditions and certain diseases such as rheumatoid arthritis, multiple sclerosis, growth hormone deficiency, and hepatitis C. They are often injectable medications, but they may also include oral medicines. How do I Access Specialty Drugs? CDPHP has chosen CVS Caremark Specialty Pharmacy Services to distribute specialty drugs. Eligible members will need to register with CVS Caremark Specialty Pharmacy and will receive a 30-day supply of medications and additional supplies needed for the medications. Medications can be sent to a member’s home, another address selected by the member, a doctor’s office, or they can be picked up at most local CVS pharmacies. 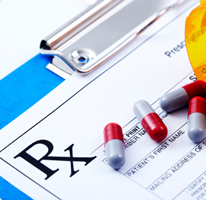 Getting started with CVS Caremark Specialty Pharmacy Services is easy. You can contact them by phone at 1-800-237-2767, by fax at 1-800-323-2445, or online. CVS Caremark provides help for side effects, educational materials about certain health issues, refill reminder calls, and access to health care professionals for emergencies 24 hours a day, seven days a week. CVS Caremark also provides Patient Resource Centers. CDPHP members can find the latest news, helpful tips and tools, drug information, safety alerts, support groups, community links, and other useful resources. For a complete list of specialty medications and answers to questions about Caremark Specialty Pharmacy services, please check your prescription drug formulary, call the toll-free Caremark Specialty Pharmacy Service’s telephone number above, or the Caremark member service phone number on your CDPHP member ID card. Members or their doctors may also contact CDPHP and request specialty drugs at a retail pharmacy instead of Caremark Specialty Pharmacy. CDPHP will send the paperwork to the network pharmacy. The network retail pharmacy must accept CDPHP terms and sign a contract with CDPHP about providing specialty drugs. For more information, please call the CDPHP pharmacy department at (518) 641-3784.